I’ve written multiple posts on the government’s surprise decision to extend the term of copyright for sound recordings without public consultation or discussion (surprise, cost to consumers, limited competition, reduced access to Canadian heritage, lobbying impact). 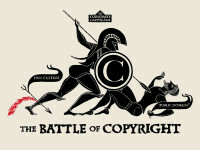 In recent days, a further implication has arisen: other groups are now demanding that the government extend other terms of copyright within the law. If the government agrees to those demands, it would result in all works, including books and music, being locked out of the public domain for decades. CISAC, the International Confederation of Societies of Authors and Composers, has publicly chastised the Canadian government for not also extending the term of copyright for authors to life plus 70 years. The current term of protection in Canada is life of the author plus an additional 50 years. That meets the standard found in international copyright treaties and is what is used in a wide of range of countries including Japan, New Zealand, China, South Africa. Indeed, the majority of people around the world live in systems with copyright protection of less than life plus 70 years.